Composed by Dan Mozell. Spiral bound. Celtic/Guitar Instruction. Book. Published by ADG Productions (AD.ADG045). ISBN 1882146867. 11 x 8.5 inches. 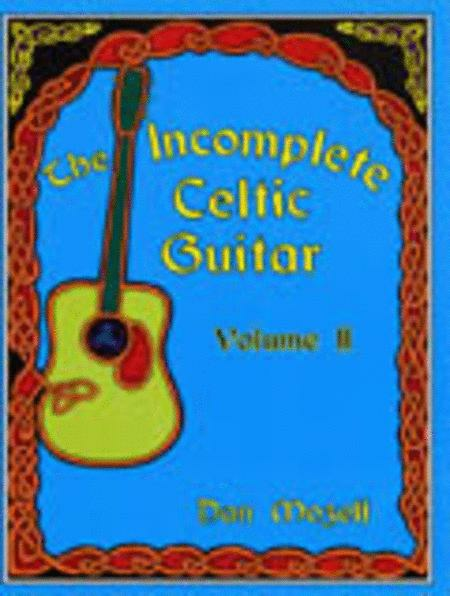 The Incomplete Celtic Guitar Volume 2, For Volume II of The Incomplete Celtic Guitar, Dan has arranged more great tunes from Ireland, Scotland and Cape Breton. Carefully notated in both standard notation and flatpicking guitar tablature, the settings maintain the traditional flavor essential to Celtic music. 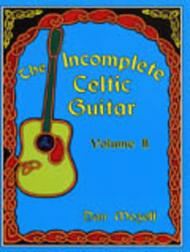 There are few books available with flatpicking arrangements in this style. Along with Volume I, the book will enable guitarists to take their places next to fiddlers and other melody players in the rich musical traditions of Ireland and Scotland. There are over 90 pieces in this 104 page book.